December Bride is a 1991 Irish-UK film directed by Thaddeus O’Sullivan (Nothing Personal, Ordinary Decent Criminal and the forthcoming Stella Days), starring Saskia Reeves, Donal McCann (Poitín, Angel, Cal, Budawanny, The Dead and The Nephew) and a remarkably young Ciarán Hinds (Circle of Friends, Some Mother’s Son, Titanic Town, Mickybo and Me, The Tiger’s Tail, In Bruges, IFTA-winning The Eclipse and the crowd-pleasing but rather slight Oscar-winning short The Shore). Set in and around Strangford Lough, December Bride fits into the Northern European strain, having much akin stylistically to the work of Dreyer and Bergman. Saskia Reeves is Sarah Gilmartin, a maid who works for the Echlin brothers, Hamilton (McCann) and Frank (Hinds). Ignoring the restraints of her devout Presbyterian background, Sarah initiates a ménage a trios with Hamilton and Frank. The three are effectively ostracised by the townsfolk and matters are made worse with the arrival of a child. The identity of the father is unknown to both the town and to the three outsiders. O’Sullivan’s aesthetic is extremely stilted and deliberate, a surprise considering his work on the fast-paced and empty-headed Ordinary Decent Criminal. The action is frequently punctuated with images of foreboding and unforgiving scenery. The dialogue is quiet and often monosyllabic and actorly histrionics are largely avoided. However, while Dreyer imbued his films with a fascinating mysticism and pensiveness and Bergman addressed such big issues as life and death, faith and morality within the frame of his often equally quiet and composed work, there is little in December Bride beneath the refined aesthetics. Ultimately, it initially feels less O’Sullivan’s chosen style and more the primitive work of a beginner. However, December Bride is a slow burn, which does manage to, in some small and incalculable way, reward the viewer’s patience. Both difficult to get swept up in, or to even believe in, at the beginning, the film does develop a tone and a mood. It is ultimately down to the viewer whether or not they are willing to forgive the struggle that is the film’s first half. After all, the performances from the three leads are all rather good, though McCann has a few silly scenes to struggle through and Reeves has a character that is a little one-note. She doesn’t have very much to do. Hinds is very good when he is allowed to act more than quiet longing. Irish cinema is still far from a great cinema, largely because there is so little of it and because there is barely a history yet. 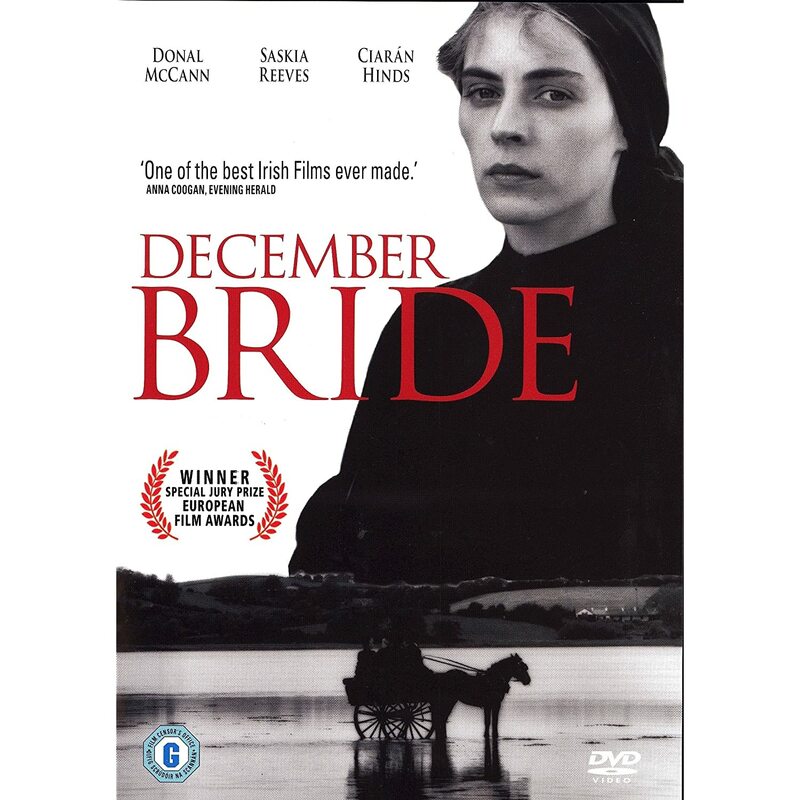 December Bride is an interesting example of the variety of Irish cinema – which isn’t all Brendan Gleeson crime-comedies, great as a few of them are. The film’s primary problem is probably that it is a story that is well trod in Irish cinema (albeit usually from a Catholic perspective) and that it is almost entirely devoid of humour – no great crime but one that makes the film seems hopelessly serious and portentous.